You know what I love about the leopard coat trend? It looks good with just about anything. You can wear it with a casual outfit or a nice dress and it won’t look tacky at all. (In my opinion..we all have our own opinions) I love it! 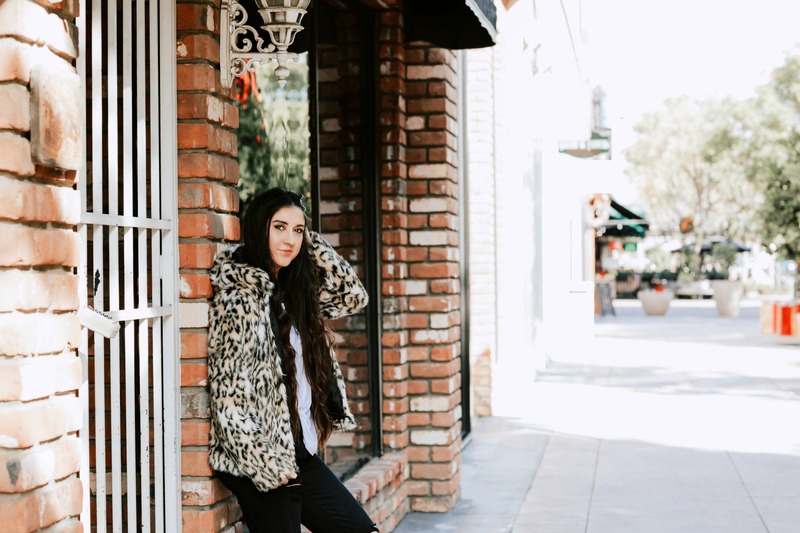 I have always been a huge fan of the leopard print clothing but I remember when the trend drifted away slowly and it became a “snookie Jersey shore signature” look for awhile and that is when I started giving away my leopard print pieces. I don’t know. Now I regret that since the trend came creeping back in late 2017. I won’t let any reality tv show take it away now! Anyways, its back and that is all that matters and it makes me happy! I purchased some leopard tanks, bras and more just recently 😉 I will probably wear leopard when I am 80 years old because I love it that much. What do you think about the leopard print? Should it stay or go? Or depends?